Now this can be a good or a bad thing depending on the people on shift at the time you have the problem. It takes the fear of getting in an accident and having to have your clothes cut off and have them see you in your underwear to a whole new level. (Yes this is a real fear!) Honestly, I don’t know how I could ever talk to any of those guys in a social situation again if something like that happened. But back to where I was going, we have had to have close family members, including my husband at one point transported to the hospital. Knowing the people taking care of someone you love and trusting their care and knowledge is so comforting. One of the first things people ask me when they find out my husband’s profession is if he’s a good cook, and the answer is yes. All the things you hear about the Firefighter cook-offs and how great firefighter’s are in the kitchen is no lie in my house! They have to cook at the station when they are on shift, so they learn all different kinds of recipes from other guys and come home and want to try making it for you. No complaints here! It also gives him the opportunity to cook things that I don’t like while he’s at work and he doesn’t have to worry about what I’m going to eat, or more commonly, complain about what he’s making for dinner. Win-win! Need I say more? There’s just something so great about a man in a uniform isn’t there?!? But more than just how cute he looks, I am constantly amazed by his strength, compassion and heroism. I am more and more proud of him every day. Being a firefighter means that you will have to work birthdays, anniversaries, and holidays. This coming year my husband will work his birthday, 4th of July, Thanksgiving, My birthday, Christmas and New Years Eve. Thankfully, for most holidays that they have to work, we bring the holidays to them. This past Christmas Eve Dan had to work, so we had Christmas Eve dinner together at the station with the other families who’s significant other’s had to work. We ate dinner, played games, and wrapped gifts. I am continually thankful for the people my husband works with and how they are truly more like family than just coworkers. He lives with this people a third of the time, and we all support each other through the ups and downs. I like the one about always knowing the people coming to help you! I see what your saying about them seeing you in your underwear, but it would be so comforting having someone that you know and trust take care of you at a time like that. Yay for built-in girl's nights! I have those too and it's awesome. Happy Saturday! 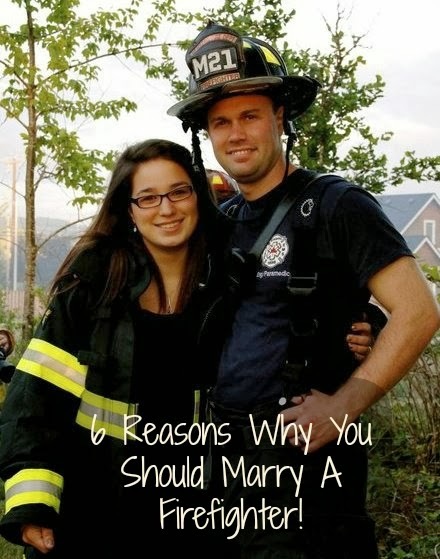 Or...you could BE a firefighter! 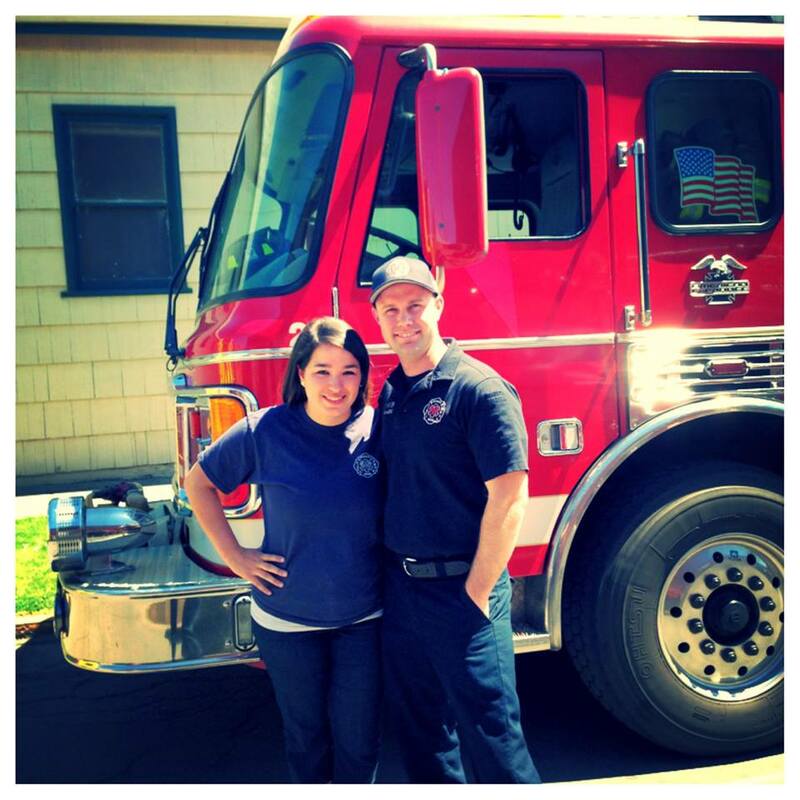 I'm a female wildland firefighter and I have had some amazing adventures! I love the built in 2nd family. Our best friend is a paramedic, but works very closely with the firefighters, and they are SUCH a great group of people! I love all these! It sounds like you have a wonderfully balanced marriage- so perfect! I like that fact that you know they care about others which shows a lot about their character!